Meet Angel. 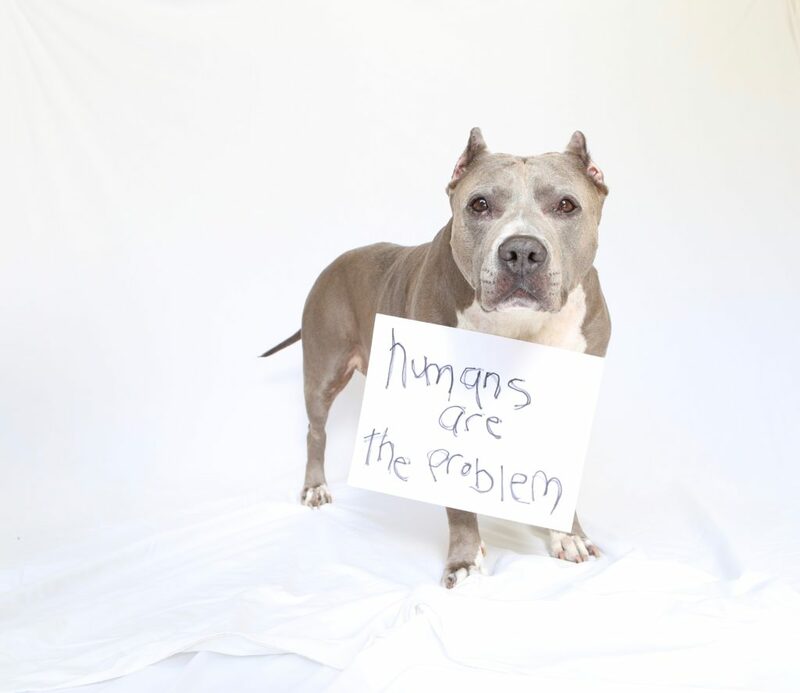 Angel is a pit bull “type” dog and never once did she cause an “incident” or pose a “threat” to the safety of passengers on a flight and she flew for years. In fact quite the opposite. It’s two legged passengers on flights who are the biggest threat and who are responsible for thousands of airplane related deaths from terrorism to pilot errors. Even a flight attendant got in on the the killing action by forcing a passenger to place their puppy in an overhead compartment causing it to suffocate to death. And hundreds of animals have died while in the care of the airlines with little to no repercussions. Dogs aren’t the problem on airplanes, humans are. Are there morons who bring fake ESA’s and Service Dogs on planes? Yes. And that is another example of how people are the problem, not dogs. No dog should be forced into an environment they can’t handle. If the dog acts out, it’s the moron’s fault holding the leash who set that dog up to fail, yet the dogs are always blamed and pay the price – sometimes with their lives. Delta Air Lines and other airlines have banned dogs they believed to be “pit bulls” based solely on appearance. It is shameful that in 2019 this level of fear based ignorance and discrimination exists but it does and so we need to stay dedicated to changing it. In Angel’s short life she changed a lot minds and hearts and educated those who were willing to learn. When the media and our society tries to vilify our dogs, instead of reposting their ignorance and giving it power, post the truth. Post a video of your hippo being a hippo. Post a photo and/or story that highlights the magic these dogs are. Or even share a post about how your Pibble has changed your life.